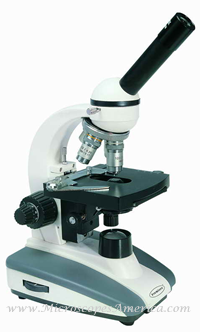 Microscopes For Colleges and Universities I Medical and Research Microscopes. Designed to meet high demands of modern laboratory microsopy.This research microscope offers optics that are as good as the professional scopes with ball bearing movement in focusing and stage systems to ensure long life, reliability and accuracy. 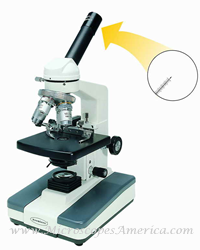 The design meets the demand of modern laboratory microscopy. 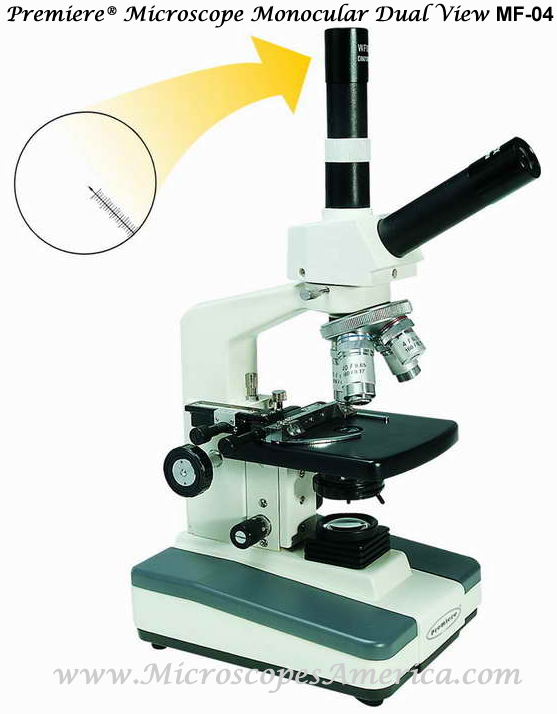 The MRJ-01 monocular medical and research microscope comes complete with standard popular accessories. It has a contemporary body design which includes a plastic plating over the metal base for less heat conduction which provides more comfort for the user. • Dimensions: 6 1/2" x 8 1/4" x 15"
• Built in rechargeable battery with detachable AC power cord. • Because the LED is a "cool light" source, it prevents focus deviation caused by heat deformed equipment. Designed for teaching or photography. 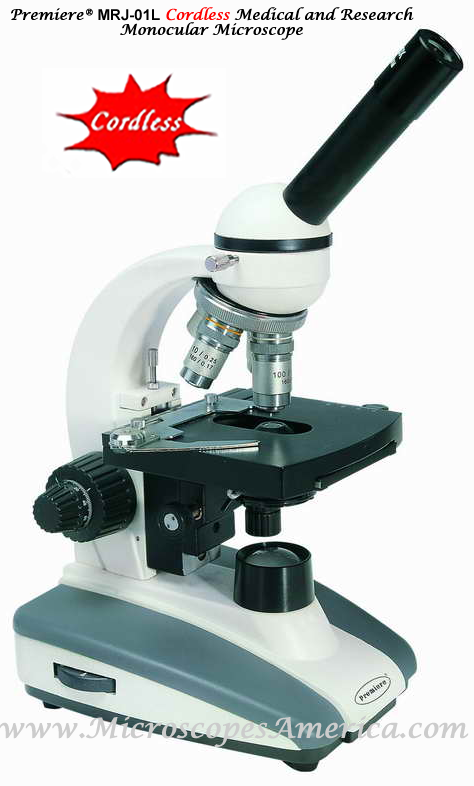 • Features a dual monocular heads and two 10X WF eyepieces, oe with special scale pointer. 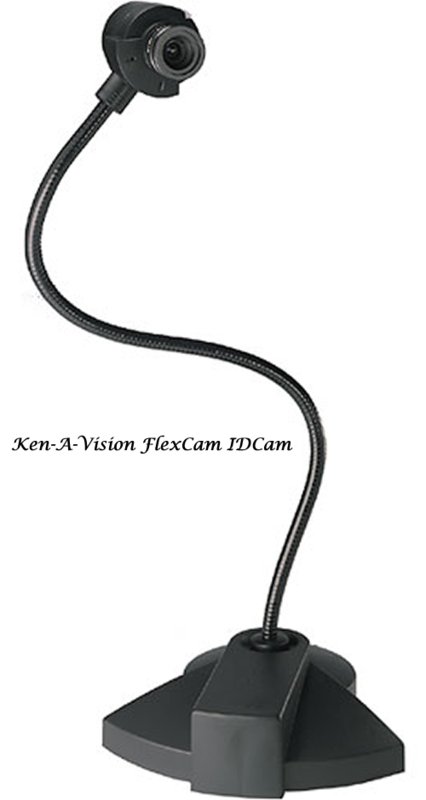 • MFL-01 (See below): Features a monocular head with one 10X widefield eyepiece with special scale pointer. • MFL-02: Features a binocular head with paired 10X widefield eyepieces with graduated diopter adjustment. Premiere® MF Series Advanced Microscopes is equipped with the most popular features and offers a choice of heads to fit various needs and budgets. The cool fluorescent lighting provides white light with little heat and longer bulb life. • MFL-04 (See above): Features dual monocular heads and two 10X WF eyepieces, one with a special scale pointer.